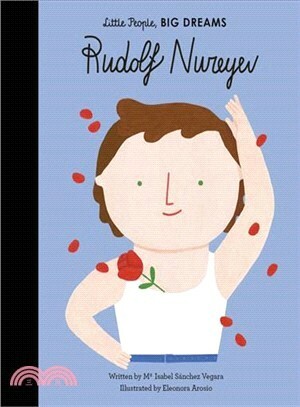 Part of the best-selling Little People, BIG DREAMS series, Rudolf Nureyev tells the inspiring story of this iconic Russian ballet dancer. New in the Little People, Big Dreams series, discover the life of Rudolf Nureyev, the ballet dancer and choreographer, in this true story of his life. Rudolf fell in love with dance at an early age. He had fire in his bones and an incredible talent. But his family were poor, and Rudolf was only accepted into ballet school at a very late age. There, he had to make up for lost time and hone his skill to compete with the other dances. This work ethic transformed him into a dazzling professional dancer, thrilling audiences with sensational performances and star power. He even went on to choreograph his own ballets. Rudolf is respected around the world as a master of perfection in dance. Ma?Isabel Sanchez Vergara,?born in Barcelona, Spain, is a writer and creative director in constant?search of new concepts for children's books. ?Working for more than fifteen?years for?clients in top advertising agencies, her books combine?creativity with learning, aiming to establish a new and fresh relationship?between children and pop culture. ?